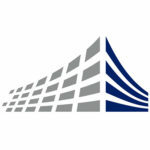 Failing to finish a project on time is one of the biggest risks facing owners, construction managers, and contractors. When a project begins to get off track, this schedule exposure generally results in acceleration, trade stacking and other inefficiencies – all things that increase costs and risks. So how can you mitigate your risk and limit your exposure? A CPM schedule has been the backbone of project controls for many of the most successful construction projects of the last 20 years. It’s how construction managers are able to compare the actual progress to the planned progress. Similarly, production is often tracked in a parallel, but separate, work stream to ensure that activities such as excavation, steel erection, unitized curtain-wall and drywall installation are meeting the expected productivity. At Aegis, managing CPM schedules and tracking production are inextricably linked. They are not simply tools used in parallel, but intertwined efforts that represent the DNA of the project. Tracking production is a critical effort to validate the CPM, just as the CPM is essential to establishing baseline production rates required to stay on schedule. One makes the other smarter. Unfortunately, too often the ultimate value of these two tools is not realized, resulting in missed opportunities to save valuable time, money, and resources. Most CPM schedules are adjusted on a semi-monthly or monthly cycle. In these cases, relying on the schedule alone to understand progress means that contractors may have insight into potential delays every two weeks – at best. If a schedule is updated only at the end of the month, the real impact of change orders, inclement weather, and other delays that happen early may not be known until weeks later. But if the project team is also closely tracking production, they have the ability to establish a leading indicator of success or failure on a daily or weekly basis. Effective production management allows the team to identify issues in near real time and initiate corrective action programs in some cases weeks before a formal schedule update. This allows the project to make up days at the end of the week, and not weeks at the end of the month. In an ideal world, the delay may never be reflected in the schedule because the team has already made up the lost time. For not only the General Contractor, but for all stakeholders, production charts are the truth tellers. While the schedule should always be seen an objective representation of the logic and duration on a project, it is by nature forward looking. The production charts dictate the work actually completed. Used in tandem with the schedule, they remove any bias as to the expected completion of tasks because they are based on the quantities established by the General Contractor and the subcontractor together and represent their production to date. The ability to utilize these tools together effectively requires collaboration before the project ever breaks ground. Once a baseline schedule is agreed to by all stakeholders, it’s important to identify the key trades that will have their production tracked. On one project Aegis is currently working on, the management team met with the excavation subcontractor to identify the key activities. Charts were developed to track the number of steel piles installed, trucks of soil/rock removed, tie-backs drilled/tested, and number of rock excavation blasts (including volume of rock). In one chart, the amount of soil removed from the site is shown. It is tracked by using the number of trucks and total yards excavated per day as reported in daily reports from the subcontractor. To make use of the data, we at Aegis harness the power of analytics. For every job, we create a custom platform that analyzes information from the project schedule and production charts to determine whether there are any discrepancies. From there, all quantifiable information, in this case cubic yards of excavated dirt, are tracked and the information from the daily reports are imported to our analytics server. Once established the analytics charts are updated automatically and live data is always available to the team. As shown in the chart below (Figure 1), the current progress is measured against a baseline target line. As a check to the schedule and the forward-looking plan, we use this chart to validate expected production and ensure that the schedule is matching the projected completion based on our recent historical production. 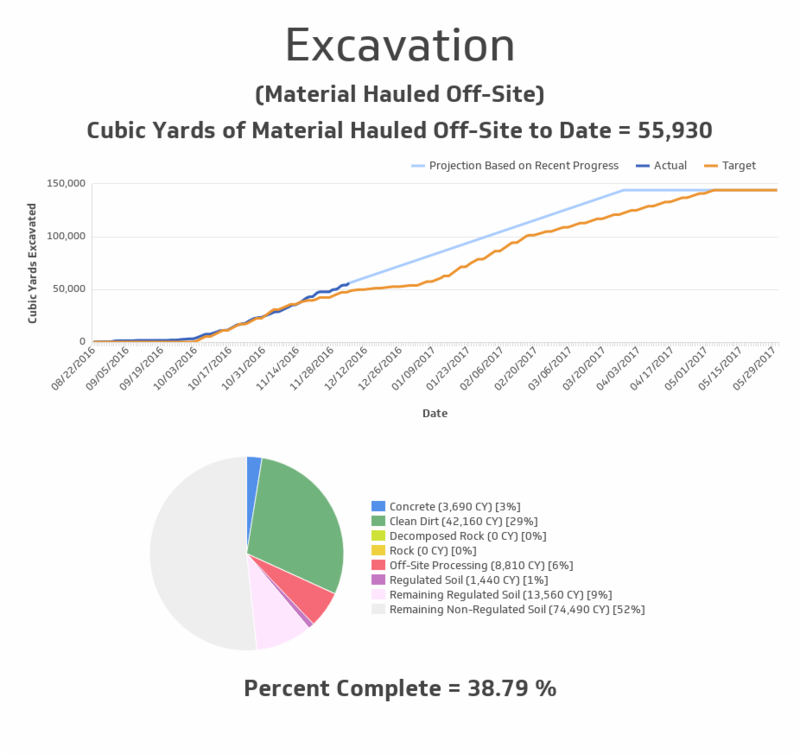 In the case as shown above, the durations for the schedule activities for excavation should be adjusted to ensure the schedule completion date aligns to recent productivity trends. The CPM schedule is still considered the best tool for managing a project, but having tools working in concert can only strengthen our ability to forecast the schedule ahead. In our experience, combining production tracking and the CPM schedule is the most effective way to manage the micro progress on the project to prevent macro level delays and failures.